Alexandre Dumas made this place world known with its masterpiece, the thrilling novel “The count of Monte-Christo”. 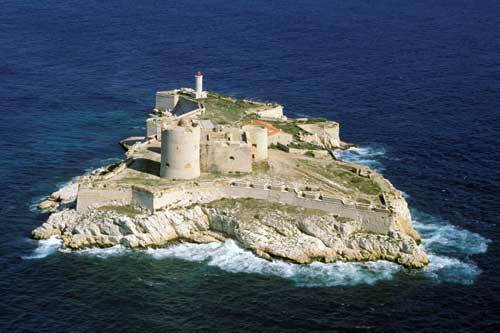 At its origin, this is a fort built between 1527 and 1529 in the roadstead of Marseille by order of the king François I of France. It served for 400 years as a jail. The most notable inmates were the marquis de Sade and the count of Mirabeau, but the most famous on is by far the fictional count of Monte-Christo. The building is register as a historical place since July the 26th 1926, it is now one of the most visited place in Marseille.